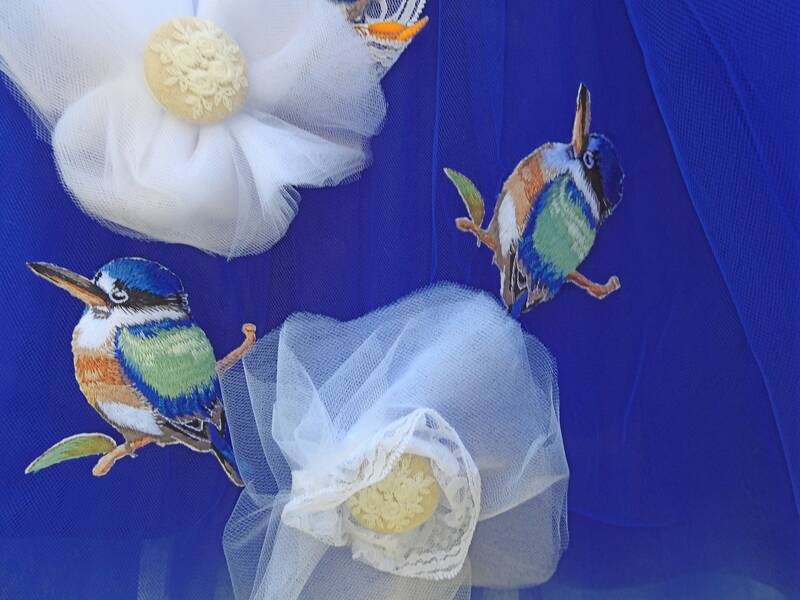 Flirty and fun, we love this ultra-feminine royal blue women tutu skirt for adults with blue birds embroidery, vibrant blue long tulle and white fabrics flowers. 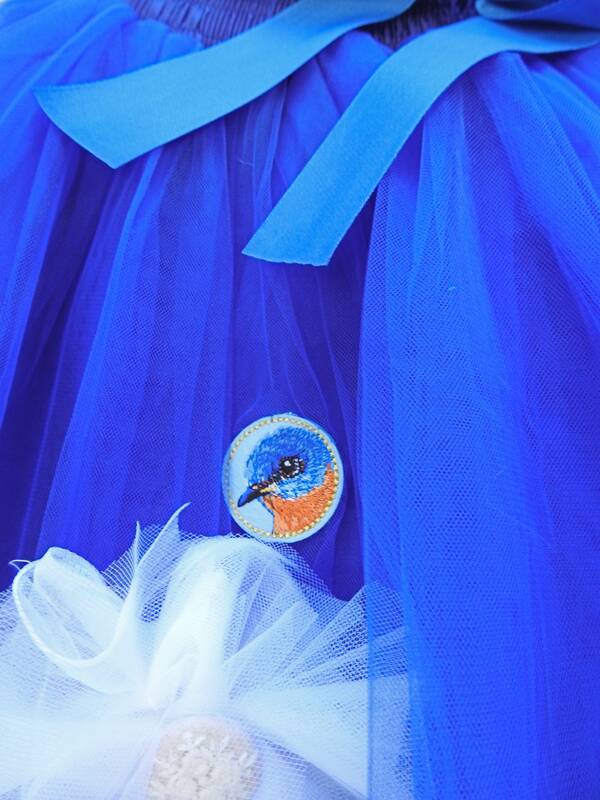 This blue tutu skirt is handmade in Canada. 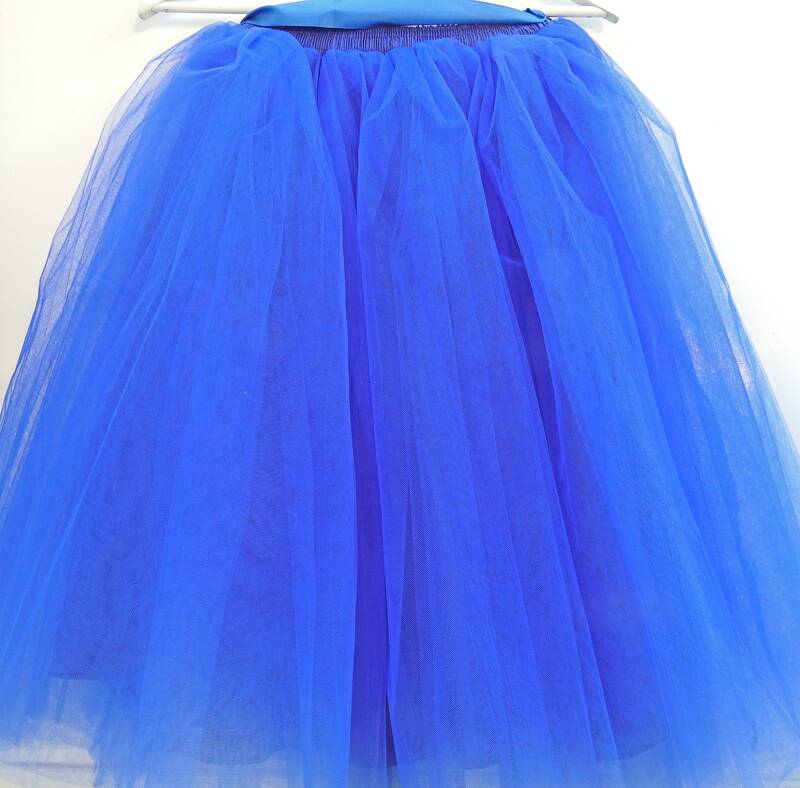 • Occasion: would be a perfect bridesmaids skirt or a nice women tutu outfit for a summer party. 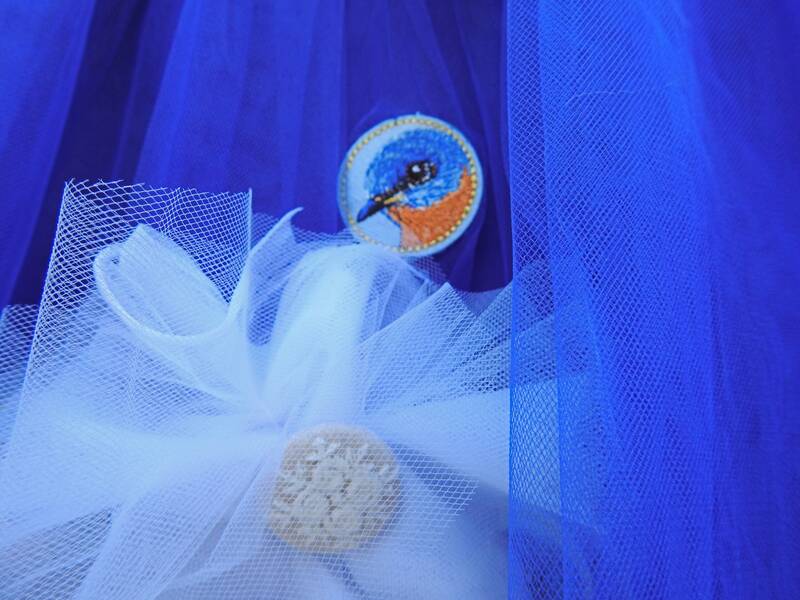 - 6 layers of vibrant blue tulle and one layer of lining. 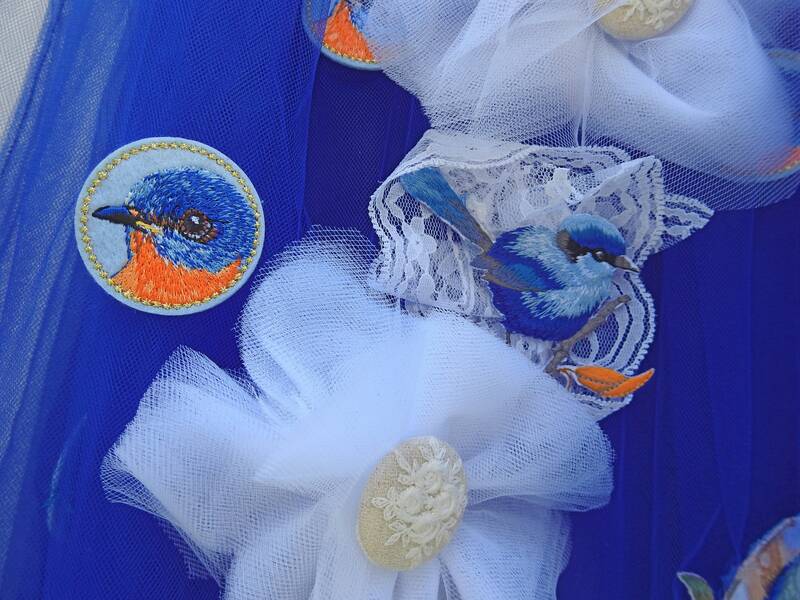 - Embroidered birds appliques are sewed and glued on the tulle. 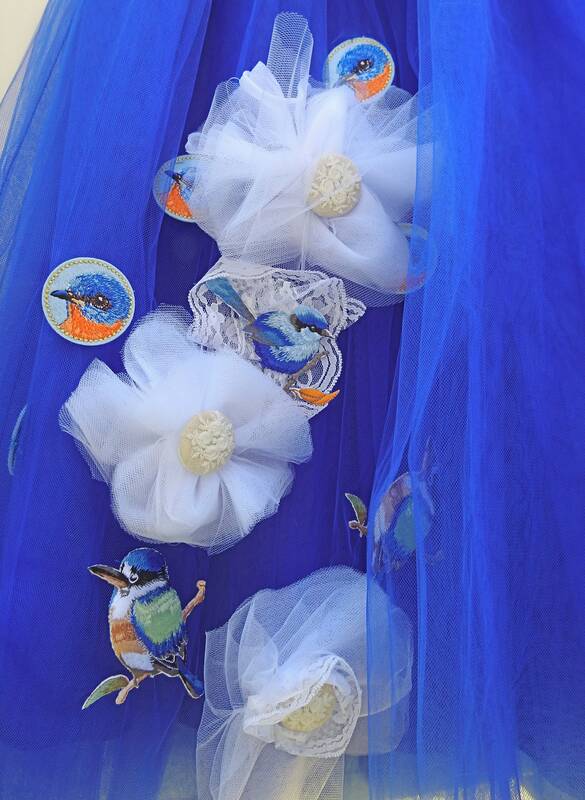 - White tulle and white lace. 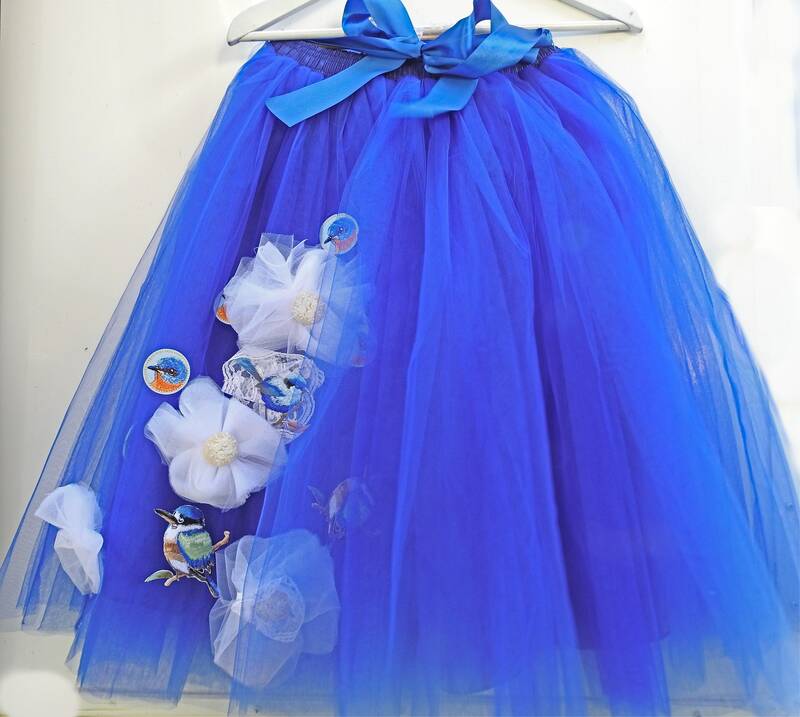 • Skirt Length: 50cm / 19.6"
• One Size: Elastic Waist: 60cm ~ 80cm / 23.6" ~ 31.4"
• Washing Care: Hand wash do not rub, Do not twist, Line dry. 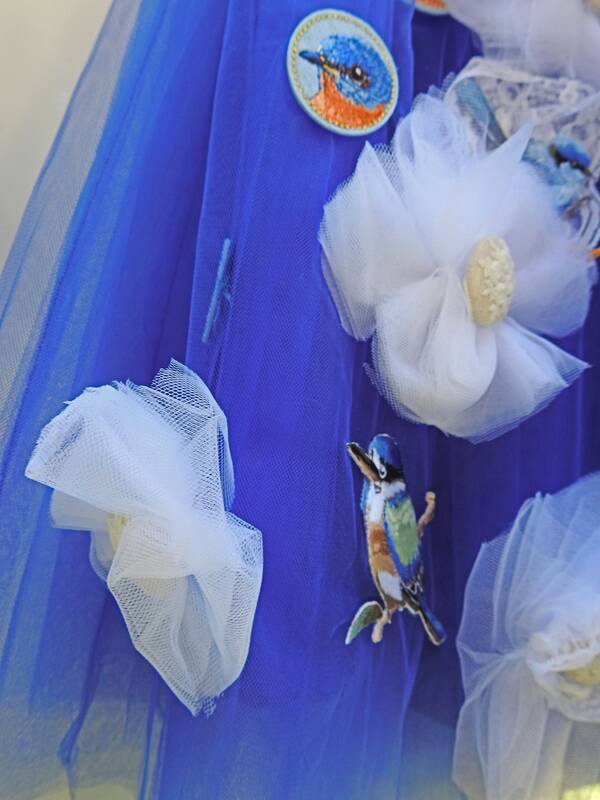 NOTE: When you get the skirt, you could steam iron , or hang it for one day, the tulle will be smooth.